Spurred on by a radical left party, the Norwegian parliament booted the country's most prominent anti-immigrant politician from government. The last time Norway caught the attention of the international media, it was because Donald Trump remarked that more immigrants should come to the US from countries like Norway and less from “shithole” places. That prompted a string of jokes and jibes about Norway being the whitest country in the world, a perfect fantasy for a racist president. How white Norway actually is depends on how you define it, but race, immigration, and “cultural preservation” have indeed stirred things up in this small country. Last month it culminated in the dismissal of Minister of Justice Sylvi Listhaug, who both supporters and detractors have compared to Trump. But what actually happened? And how big of a blow was it to right-wing populism? 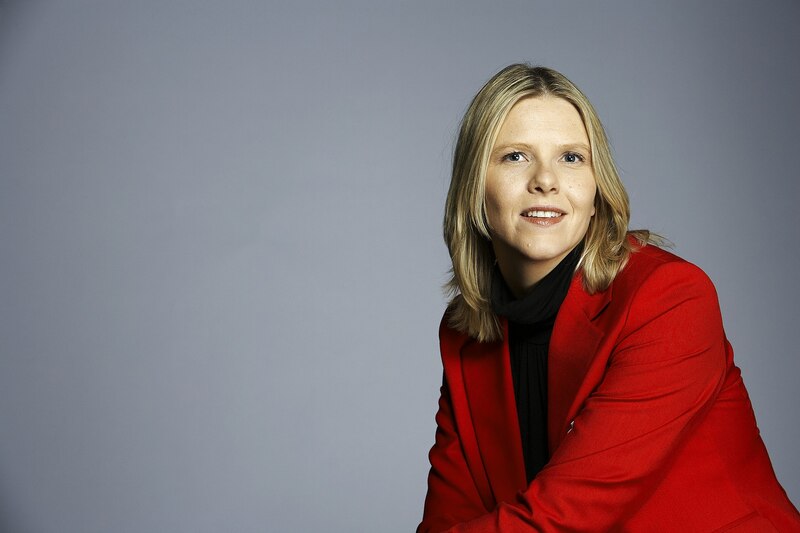 Listhaug belongs to the Progress Party (FrP), a right-wing formation with a history of dog-whistling and blatant racism that has been in government since 2013 with the conservative-right party Høyre. For a long time the Norwegian establishment refused to collaborate with the FrP, seeing it as too extreme. They changed their mind out of electoral expediency. Needing votes to secure a majority, right-wing parties invited the FrP into the mainstream tent and welcomed their collaboration. Since then, mainstream right parties have assured the public that the Norwegian populist right is not like it is in others parts of Europe — it’s milder and moderate, less historically noxious. While the Sweden Democrats have an outright Nazi past, the FrP’s roots are in an anti-tax liberal party. Yet it might be fair to ask if we have not been fooling ourselves that we have the cleanest oil, the nicest fjords, and the sweetest far-right politicians on the continent. It’s been just thirty years since Carl I Hagen, the leader of the FrP at the time, forged a letter from a Muslim living in Norway and used it to claim that Islam was taking over the country. In the decades since, the FrP’s bread and butter has been pushing anti-immigrant policies and stoking anti-Muslim fear. The two leaders throughout those years, Hagen and Siv Jensen, have been known for their bigoted statements. And then Sylvi Listhaug came along. Gradually she grew into the party’s political star and the country’s most vocal anti-immigrant politician. During the European “migrant crisis” in 2015, she raged against the “tyranny of goodness”: reasonable people who simply wanted stricter immigration policies were being labeled heartless and racist by “tyrants of good,” who used their self-appointed positions as moral commissioners to shut down debate about the consequences of immigration. Since then Listhaug has been the hero of the Norwegian far right, a provocateur adept at trolling the Left and liberal media. In one stunt that received international attention — and prompted John Oliver to label her “perhaps the most Norwegian-looking human being that has ever lived” — Listhaug tested “how it is to be a migrant” by floating in a wet suit in the Mediterranean. During last year’s election campaign, she claimed that the leader of the Christian Democrats, Knut Arild Hareide, “and other politicians” were licking the backsides of Muslim clergymen. The Right won the contest, and in the new cabinet she received a new appointment: minister of justice, public security and immigration. On election night, the far-left party Rødt, which won parliamentary representation for the first time, vowed they would kick her out of office. On March 9, Listhaug posted a picture of a scary-looking group, presumably in the Middle East, alongside the caption: “Labor thinks the rights of terrorists are more important than national security. Like and share.” The impetus for the post was a proposed law that would allow the ministry of justice to revoke the citizenship of foreign fighters and terrorists without court approval. The bill went down in parliament. Labor, the main opposition party, agreed that known foreign fighters should be stripped of their citizenship, but not before the case was put in front of a judge. The disagreement was thus minor, and that was perhaps the real scandal — that the removal of citizenship was taken so lightly by all major political parties. Would it also, say, apply to Norwegians with double citizenship that went to support the Kurdish liberation struggle in northern Syria? For Listhaug, though, such questions were of course beside the point — this was another chance to attack and antagonize the Labor Party. Such animosity might seem strange from a left perspective, considering Labor is comprised of rather moderate social democrats that are eager to cross the aisle and seek consensus. In 2015, for instance, the party cut an asylum deal with the conservative government. In the feverish imagination of the far right, however, Labor supports open borders and are traitors to the nation. This paranoia reached its most horrific peak in 2011, when right-wing terrorist Anders Behring Breivik bombed a government building and then went on a killing spree at a Labor Party youth camp. Seventy-seven lives were lost. After the attack the nation came together, and the Labor government spread a message of love, unity, and democracy. It was all very warm and fuzzy — but the aftermath also created a political climate where actually attacking the right wing-extremism that fed Breivik’s actions became taboo. To point out that right-wing hatred was the reason behind the attack was to open oneself up to accusations of “playing the July 22 card” and besmirching opponents as supporters of a crazed lone wolf. Meanwhile, the Progress Party — which counted Breivik as a member for ten years — grew stronger, and extremist websites proliferated, spreading hate against both Labor and immigrants. Listhaug’s Facebook post on March 9 shook the political landscape. Published on the opening day of the first movie about the 2011 attacks, the post triggered criticism from all mainstream parties, including Listhaug’s coalition partners. On Monday, March 12 the leader of the Christian Democrats insisted that Listhaug had only one option: delete the post and apologize. “Delete and apologize” is not Listhaug’s modus operandi, though, and she refused to remove the offending post for another couple days. When she finally relented, she cited copyright issues as the reason for her about-face. The same day, Rødt proposed a motion of no-confidence. Listhaug appeared before parliament the following day, where she was met with furious opposition. Four times she was forced to apologize. After the session the Labor Party decided, rather surprisingly, to support the vote of no-confidence, and the Greens, the Socialist Left, and the Center Party followed suit. Now all that was needed was the Christian Democrats and the motion would have majority. By Norwegian parliamentary tradition, such a move would trigger the resignation of the entire government, unless Listhaug withdrew or was sacked by the prime minister. Intent on maintaining a majority, Prime Minister Erna Solberg said she would do no such thing. She was ready to stick with the FrP and bring the entire government down if the parliament voted no-confidence. How should we interpret all of this? First, it should be seen as a victory for the Left. Norway’s most prominent far-right politician was booted from government and consigned to work as just one of 169 parliamentarians. Without the ministerial post — and an important one at that — Listhaug should receive less media attention and will certainly wield less power. Second, a firm line has been drawn against right-wing scaremongering, which is designed to divide the country into supposedly loyal denizens and purportedly traitorous supporters of terrorists and immigrants. Finally, and most importantly, this is a victory for the majority of the country that doesn’t believe the right-wing narrative that the nation and its values are under attack from immigrants. In 2015, Listhaug claimed it was impossible to question whether welcoming refugees was good policy, that the political climate made it impossible to “speak the truth” about immigration. Turns out it’s the other way around: as the Right has grown stronger across Europe, they have increasingly dominated national debates, labeling anyone who disagrees with them as naive and out of touch, scaring them into silence. Immigrants have been told to shut up and be grateful, or better yet, leave, while native Norwegians who support a more humane immigration policy have been told to shut up because they are do-gooders with no basis in reality. Recent weeks have demonstrated that narrative might be changing. A young woman, Camilla Ahamath, started a fundraiser for Doctors Without Borders in the name of Rødt leader Bjørnar Moxnes to salute his motion of no-confidence. In just three days the campaign drew more than 17 million kroners (around $2.2 million) from about 80,000 people. It is a confirmation of what we should have known all along: The far-right supporters of Listhaug are vocal, especially online, but they are relatively few. The majority of Norwegians are fed up with toxic speech and fearmongering. In a poll conducted just after the infamous Facebook post, and before her resignation, a clear majority of the population said they had a bad impression of the far-right politician, and only 22 percent said they had a good one. When Listhaug stepped down, 84 percent of respondents said they thought it was a good decision. And last year a poll found that more than 70 percent of young people rank “fighting racism and xenophobia” as the most important political issue, while “limiting immigration” ranks last. Still, the lesson the Norwegian left should take from Listhaug’s ouster is that we gain strength by standing up to the far right, not backpedaling or apologizing for our values. The majority is with us — regardless of how much the Right insists otherwise. Ellen Engelstad is the editor of the online journal Manifest Tidsskrift.